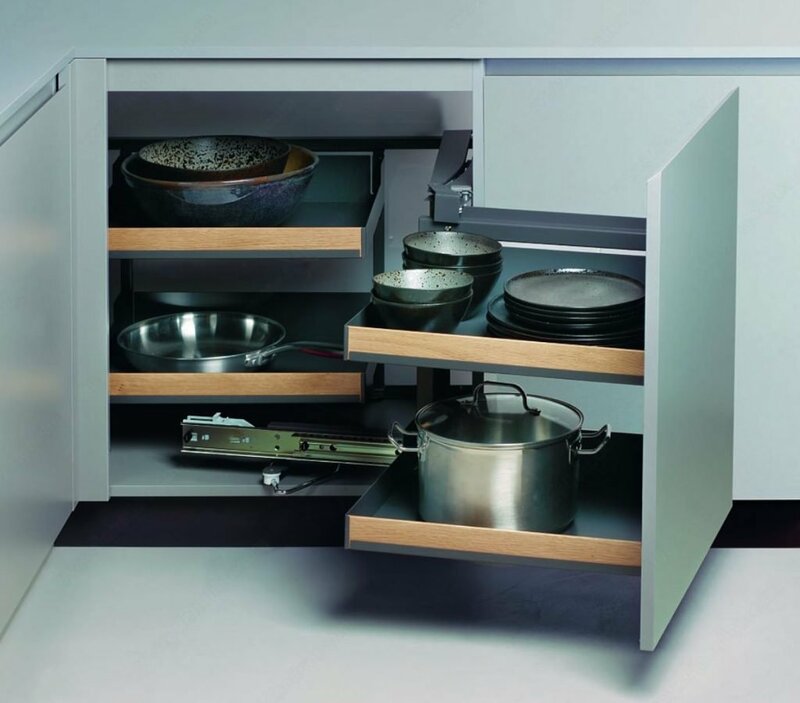 A blind corner cabinet can be a bit of a challenge to get into and access the storage area. 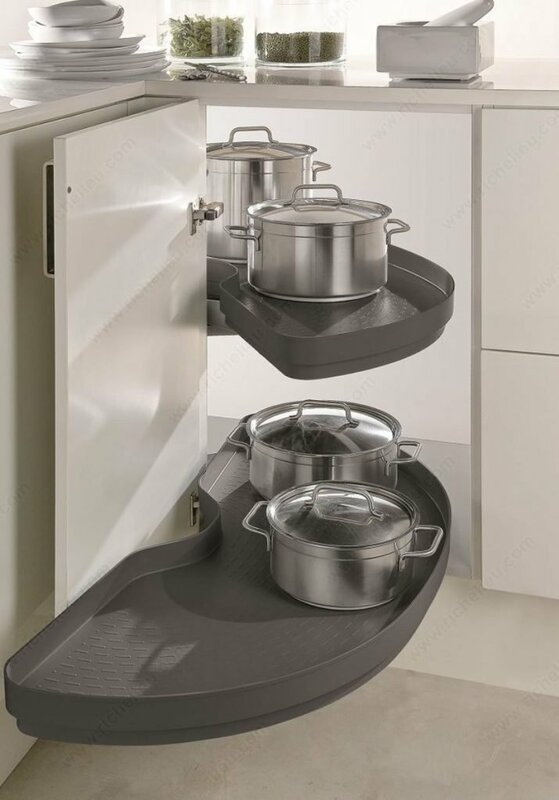 Adding a blind corner optimizer can help make the storage area more accessible. 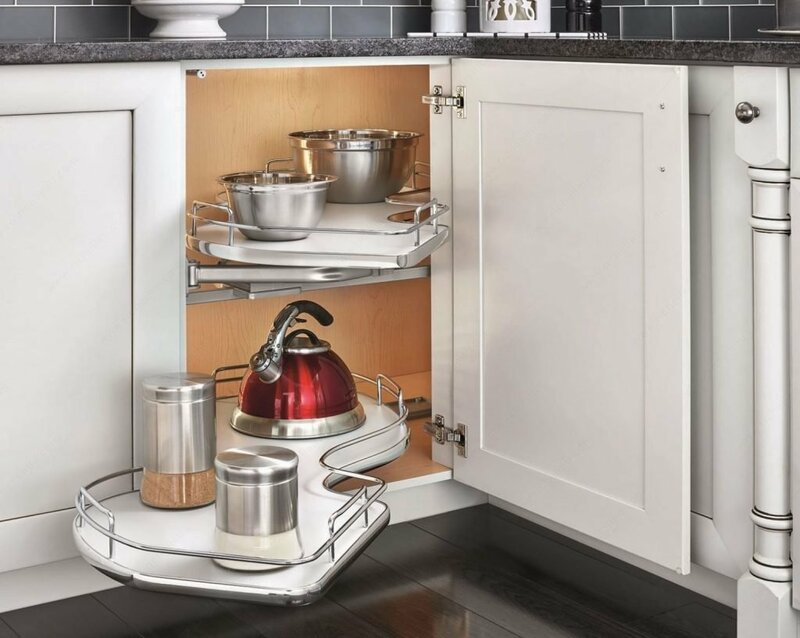 Below is a quick video I made of what to expect when you order a blind corner cabinet from Norcraft with the storage optimizer upgrade. In the video you will see a shelf swing out behind the door, then after that shelf is out you can access two roll out trays. 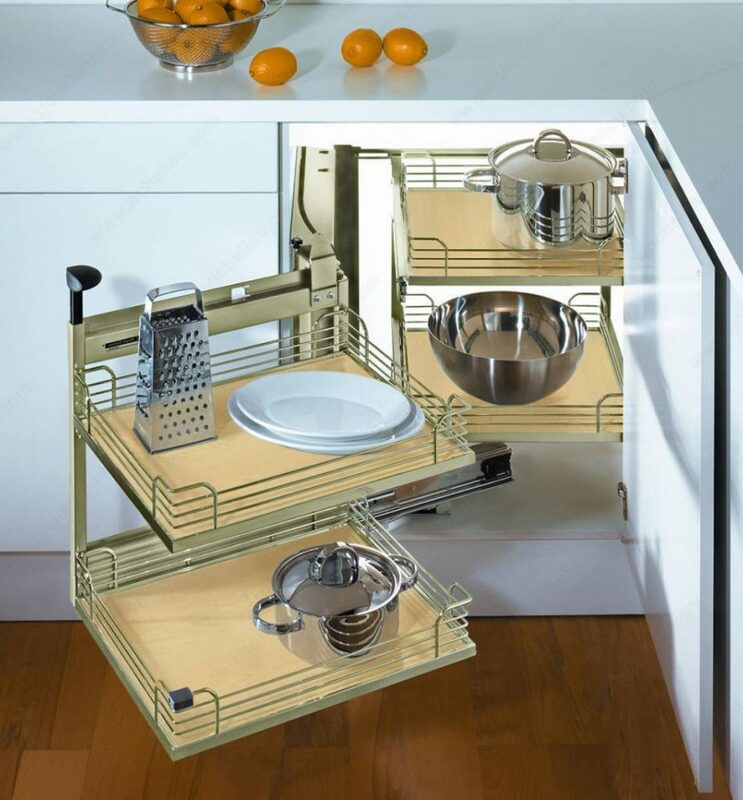 Below the video you will see photos of other storage swing out options for a blind corner cabinet.